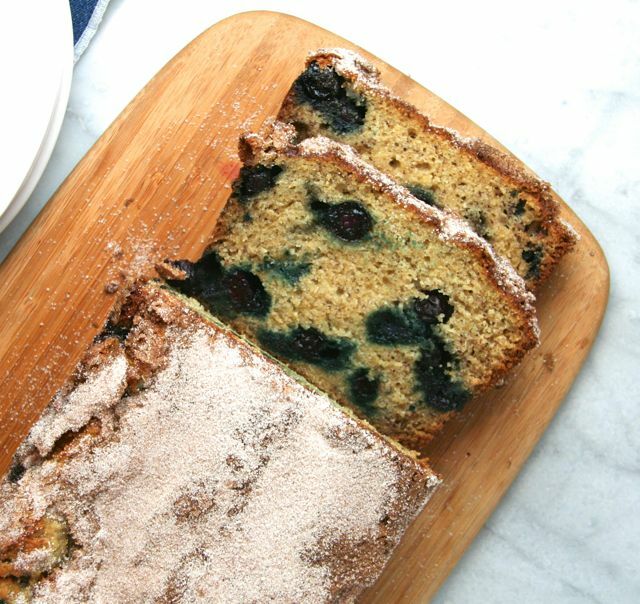 This recipe was adapted from Crazy for Crust. I decreased the sugar and modified the recipe to include whole wheat flour and bake in a convection oven. I also used a Vitamix to blend the liquid ingredients. Nice! Preheat oven to 375°F (on convection, if possible). Grease a 9x5x3” loaf pan with butter or cooking spray. Cream butter and 3/4 cup sugar with a hand or stand mixer. Set aside. Pour half the banana mixture into the butter mixture with 1 cup of whole wheat flour. 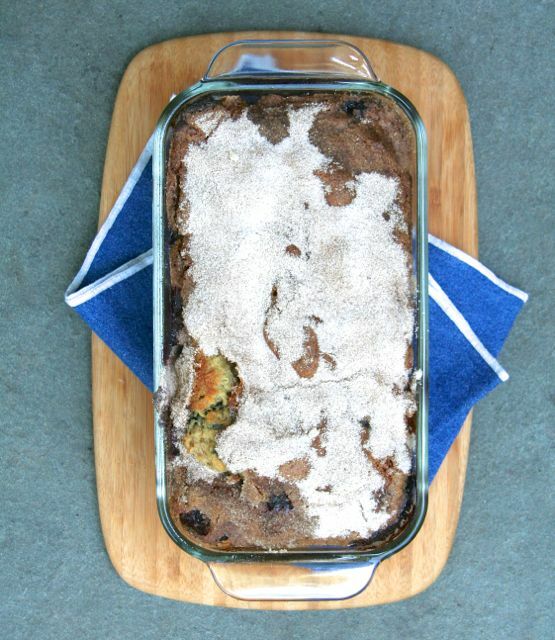 Mix until just incorporated, then add the remaining banana mixture and the all-purpose flour. Mix until just incorporated. Gently fold in the blueberries. Pour into prepared pan. Combine 2 T sugar and cinnamon in a small bowl. Sprinkle evenly over the top of the batter. Bake for 45 to 50 minutes on convection or up to 60 minutes in a standard oven, or until a toothpick comes out with just a few crumbs. The edges will be a dark brown. Cool completely before removing loaf from pan, but you can cut slices from the pan after it’s cooled for about 15-20 minutes. and… I have to share some friends who came to visit. 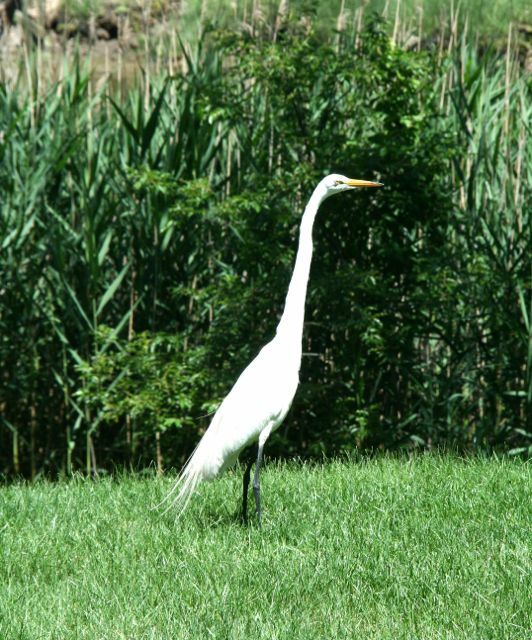 🙂 A Great Egret and a Night Heron! 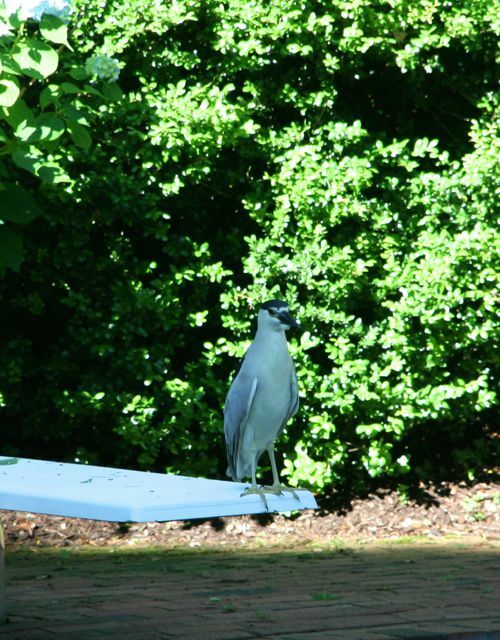 The Night Heron actually came and sat at the edge of our diving board… he didn’t go for a swim. 🙂 Great. cinnamon is my fav! Loving the flavours in this cake. Thank you so much! I am a huge fan of cinnamon sugar myself- Yum! Thank you so much, Darya. 🙂 I’m sure it would be delicious with frozen blueberries too!! Ah, that looks lovely and refreshing. A tasty snack. Yes- tasty 😉 Thank you!! This is like all my favorite breakfast breads combined into one!! Yummy! It’s true!! Me too! 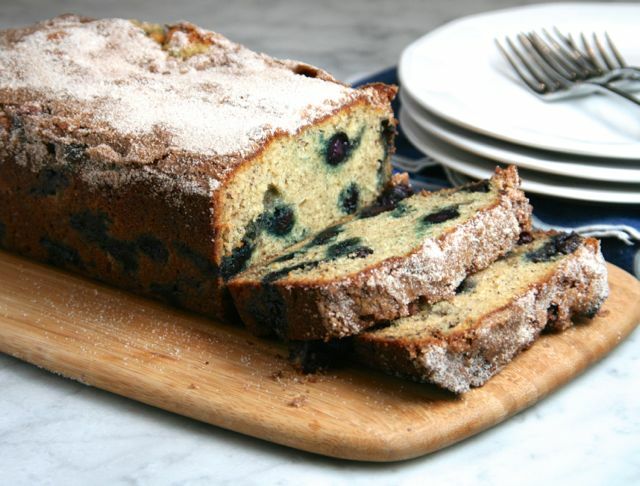 Perfect to make with fresh blueberries too 🙂 Thank you! I saw those slices cut beautifully laying on another and i am hungry now! Cinnamon sugar is simply my favorite! Love this!